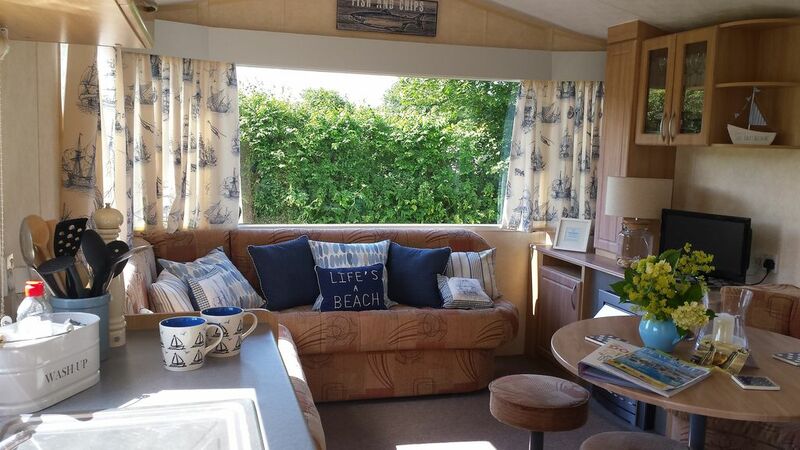 A cosy and comfortable caravan with all you need for your stay. The added bonus of having a fully enclosed garden is very useful. It also has a decked area with seating for enjoying the sun. The site is convenient to the village which has two pubs, cafe, post office and shop. The owners are very warm and welcoming. Such a relaxing break.